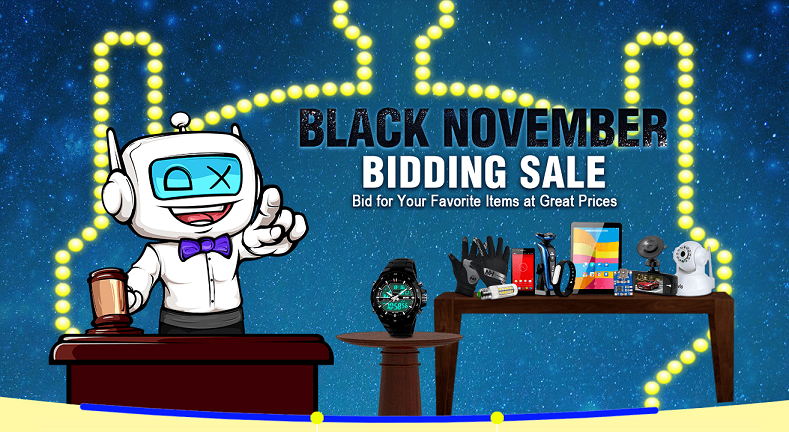 The Black November Bidding Sale has arrived at DealExtreme! Feel the rush of bidding on all of your favorite DealExtreme products at Great Prices! Start promoting this great sale and also our Worldwide Free Shipping today! Promotion: The Black November Bidding Sale has arrived! Start bidding on your fravorite items at Great Prices! Promotion: Get 5% off Toys for All Ages! Promotion: Get 5% off our New Wifi tools! Promotion: Feel the high-tech rush! Get 5% off Hi-Tech Gadgets!